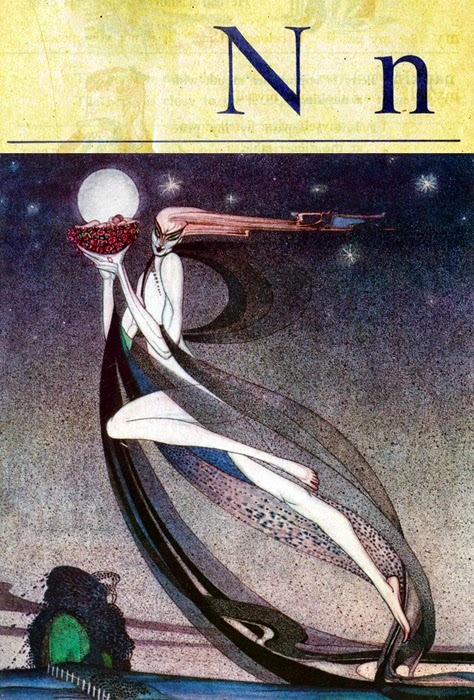 Kay Nielsen: illustration from "Felicia or The Pot of Pinks," in In Powder and Crinoline, 1913. "This good Fairy placed her own baby in a cradle of roses and gave command to the zephyrs to carry him to the tower. . . With this book, Nielsen became the third of the great gift book illustrators, following Arthur Rackham and Edmund Dulac."